Horse racing is enjoyed by many millions across the UK’s 60 tracks and yet traditionally ownership of a Thoroughbred has been the preserve of the few. That is set to change with the launch of Crowd Racing, the world’s first crowdfunding platform to offer shares in racehorses to the general public. Now anyone can own a share in a single horse, or build up their own string across multiple trainers. 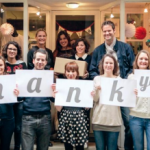 The technology behind the website is provided by equity crowdfunding platform Crowdcube. 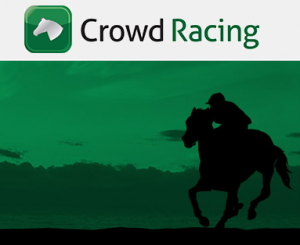 Crowd Racing is a platform that allows racehorse trainers and syndicates to put up pitches for flat or national hunt horses they want to put into training, and for the ‘crowd’ i.e. the general public, to buy shares (equity) in these. It is a new way to fund both the purchase of racehorses and expansion of training stables and gives trainers and syndicate managers a platform to connect with ordinary people beyond their regular networks. The idea of shared ownership is not original in horse racing. Partnerships and syndicates have been popular for many years, but they have restrictions on the numbers of owners allowed and therefore can become expensive. Racing clubs can be more cost effective but they do not offer genuine ownership, you are a member of a club. Crowd Racing allows the benefits of these routes but with the ability to get involved at a lower cost and yet still be a genuine owner. • Access to a designated contact at all times. One of the first pitches to go live on the website was Horses First Racing (HFR) with a two-year-old colt (as yet un-named) from Biddestone Stud. The pitch target is £75,000 to cover the purchase of the horse and its associated training costs for a year. Leading Australian trainer, Jeremy Gask (now based in the UK) utilises both cutting-edge scientific methods and training tools, as well as making horse welfare a priority. Craig McKenna, managing partner at The Growth Academy, is the main driving force behind Crowd Racing. It is the world’s first crowdfunding platform that funds the purchase of racehorses in return for equity, giving trainers and syndicate managers a new way to connect with new investors, as well as their existing contacts, friends and owners. As the world’s first equity-based crowdfunding platform, Crowdcube enables everyday investors to fund British businesses in return for a share in the company. Since February 2011, over 55,000 savvy investors have registered on its website, helping to raise more than £16.5m for 85 UK pitches. Crowdcube also licenses its technology to partners to operate their own crowdfunding platforms. Investing in start-ups and early stage businesses involves risks, including illiquidity, lack of dividends, loss of investment and dilution, and it should be done only as part of a diversified portfolio. Crowdcube is authorised and regulated by the Financial Conduct Authority (No. 572026).